I’ve been away for a wee while, and I’m sorry for that. I wasn’t too well around Christmas and it has knocked me somewhat to the extent that I nearly didnt get to Barcelona and had to take medical letters etc through the airport, so it was a tad more stressful than a holiday needs to be. of course, no trip of mine is complete without Greg my travelling teddy, seen here in his scrubs and holding a little xray film. 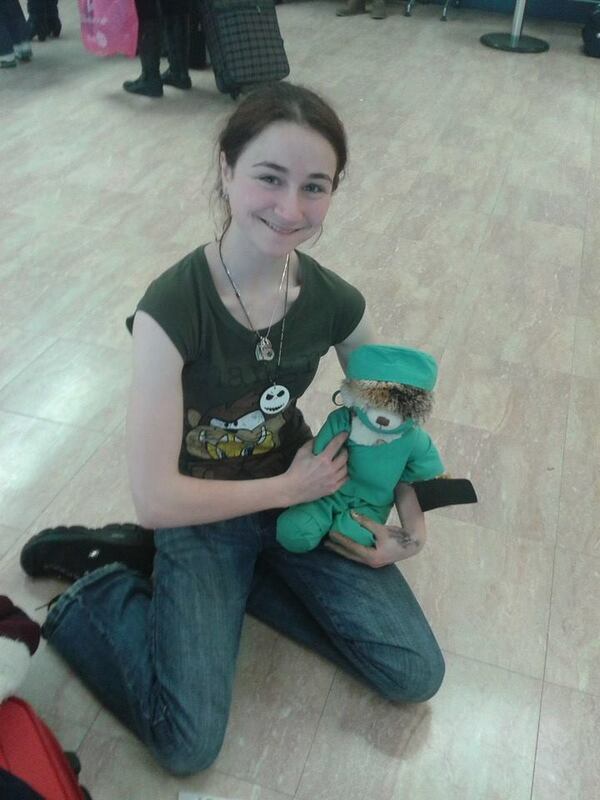 He was a present from a friend while I was studying Radiography and despite going to see if there was an artist suit available in my local build a bear he has stayed firmly in his scrubs. while there I decided it couldnt all be about Gaudi and so I visisted the Picasso Museum (free entry for students with a student card!) and also one for Dali and Joan Miro. I will post the pictures slowly but surely as I think some of this work really has to be shared and seen, it was awe inspiring.